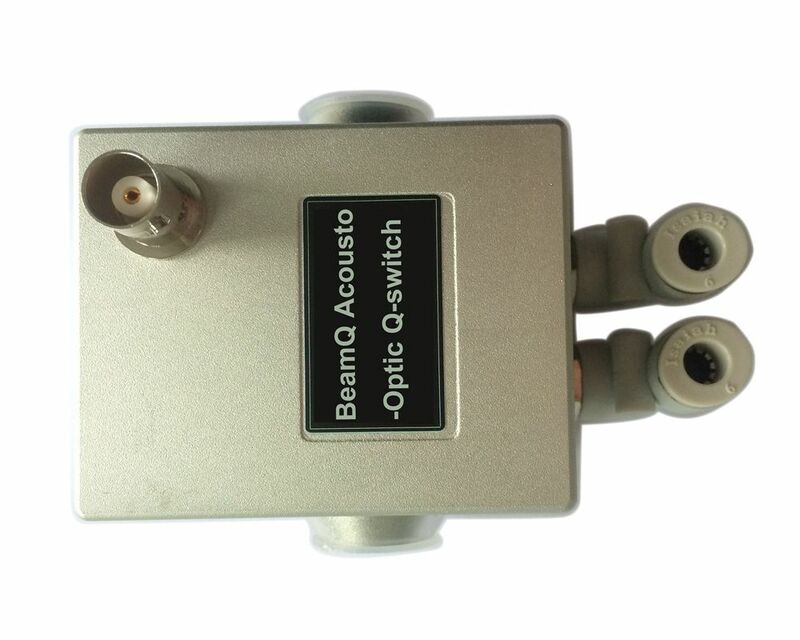 Acousto-optical Q-switch often used in the laser marking, laser cutting, mutual interaction between an ultrasonic wave and a light beam. The laser beam that enters in a direction, forming a Bragg angle to the wave surface of the acoustic wave in the scattering medium. It is diffracted in accordance with periodic changes in the diffraction rate produced by the acoustic wave. 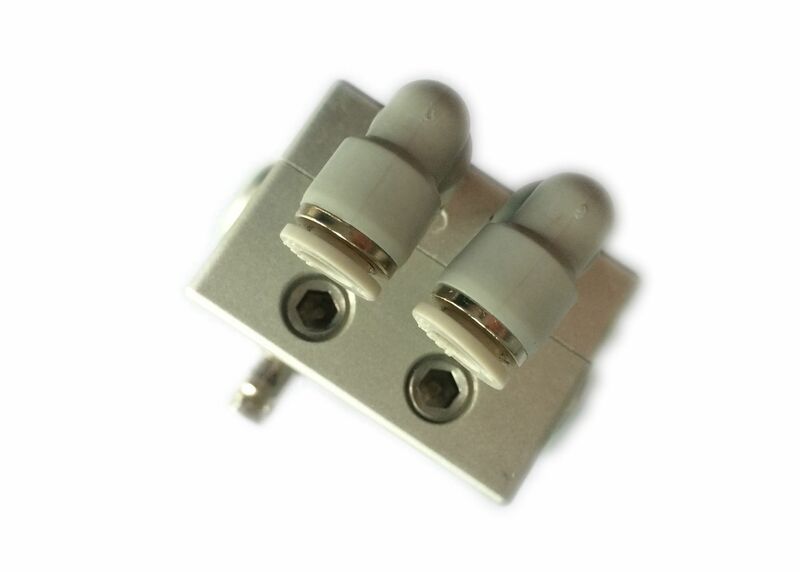 Acousto-optic Q-switch is a water-cooled,quick modulation rate, low insertion loss, high damage threshold, convenient use, stable and reliable work and high cost performance,,the first pulse suppression function.. 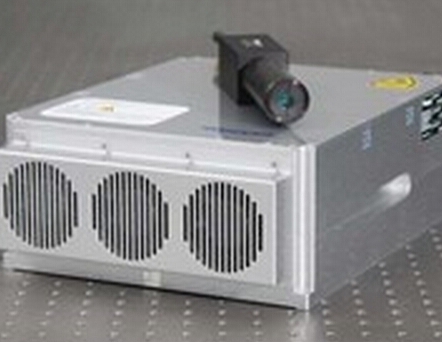 It is designed for the YAG laser with output power of 30~50W. It can be widely applied in laser processing equipments, such as laser marking, scribing machine, laser engraving, laser cutting and fine processing. It is provided with drivers as the following pictures. 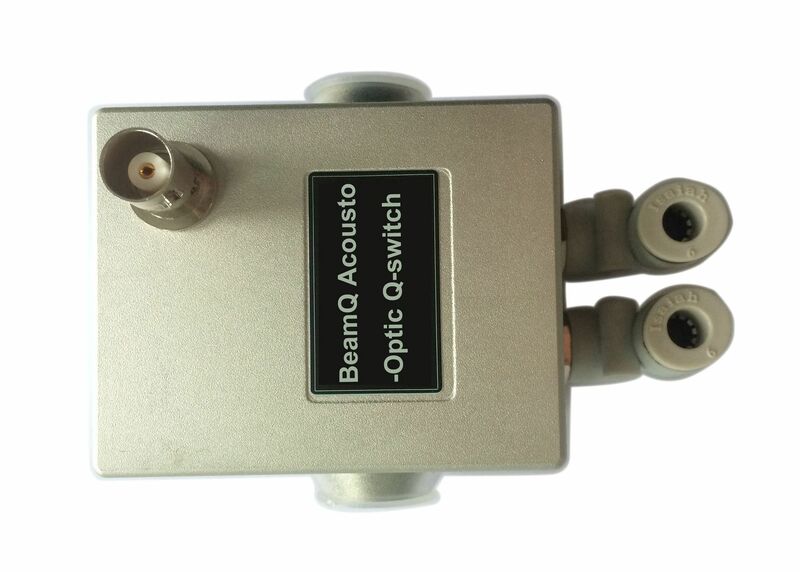 Acousto-optic Q-switch driver is not included. 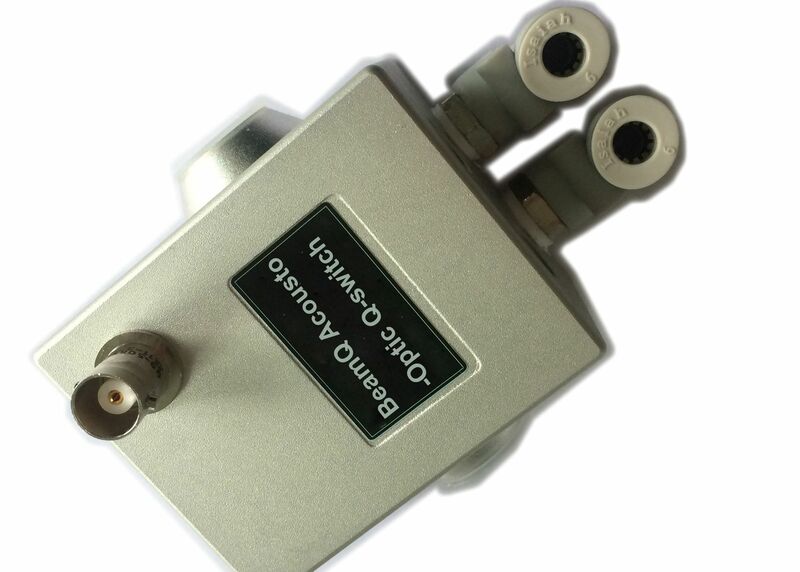 RF driver for acousto-optic Q-switch. It can independently control the output of radio frequency signal via computer signal. 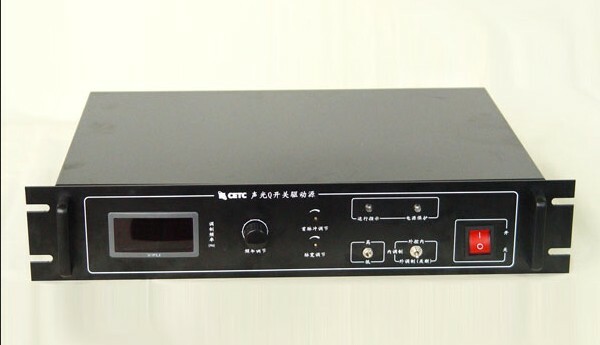 Quick modulation rate, convenient control,stable and reliable. It has first pulse suppression and automatic protection and alarm.